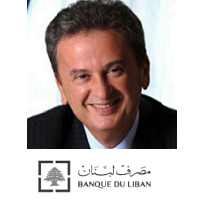 On behalf of the Capital Markets Authority of Lebanon, and as the official host of the 14th Annual World Exchange Congress, I would like to formally invite you to join us in Beirut for next years’ event on the 26th-27th February 2019. 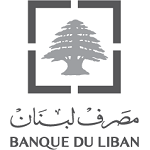 Over 500 senior representatives of the world’s exchanges, capital market authorities, clearing houses and digital technology providers will gather in Beirut for two days of high quality discussions, debate, gala dinners and networking all set around the beautiful Phoenicia Hotel in Beirut. The theme of the event will be the reinvention of the modern-day trading venue, as market participants transition towards diversifying revenue streams through data ownership, embracing new technologies and attracting new customers. As an industry we must be ready to embrace and work with AI, Robotics and new technologies that create value for investors, whilst ensuring the safety of infrastructure and the regulatory order. We must be ready to work with our colleagues across borders and we must be ready to redefine our markets in light of a rapidly changing geopolitical landscape. The event will also feature over 120 speakers, leaders of exchanges, capital market authorities and clearing houses from around the world who will discuss the above and more. The event is also a fantastic social occasion and over the course of 3 days, attendees will enjoy dinner and drinks receptions, cultural activities and opportunities to explore the beautiful city of Beirut. On behalf of the Capital Markets Authority and Terrapinn, I would be honoured if you were to join us at this years’ event.